Galaxy S8 is expensive to buy and to build. iPhone 7’s aluminum unibody and features like 3D Touch make it an expensive smartphone to build, but there’s one device that’s more expensive. A lot more expensive. That’s Samsung’s swanky new Galaxy S8, which is by far the priciest smartphone available based on the bill of materials. The Galaxy S8 was never going to be cheap to manufacture. Its curved Gorilla Glass, aluminum frame, edge-to-edge Infinity Display, and iris scanner are all pricey components. The device also ships with 64GB of storage as standard, and Qualcomm’s latest Snapdragon 835 processor. In total, the bill of materials comes to $301.60, making this not only Samsung’s most expensive smartphone, but the entire market’s most expensive smartphone. 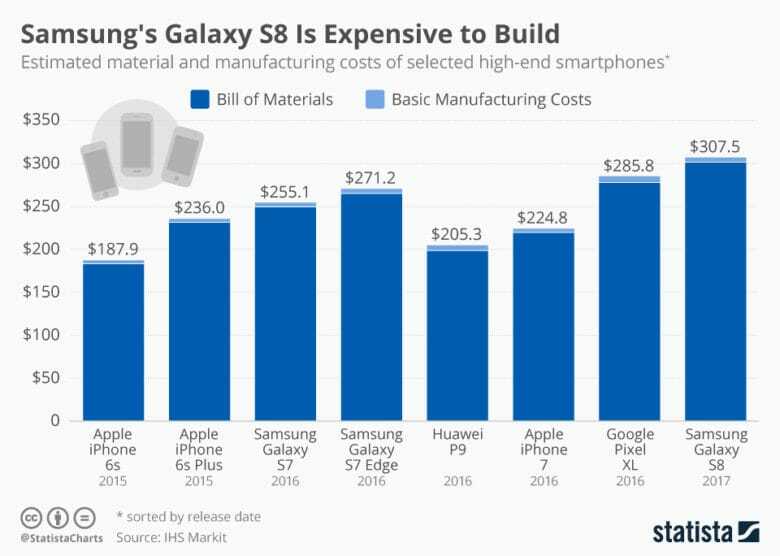 Add $5.90 in manufacturing costs, and it costs Samsung a total of $307.50 to manufacture a single unit. That’s $43.43 more than it cost to manufacture a Galaxy S7, and $36.29 more than a Galaxy S7 edge. In comparison, it costs Apple around $224.80 to manufacture a single iPhone 7. The difference is reflected in the final selling price of each device: While iPhone 7 starts at $649, the Galaxy S8 will cost you a whopping $720 without carrier subsidization. Galaxy S8 is the most expensive smartphone to build. 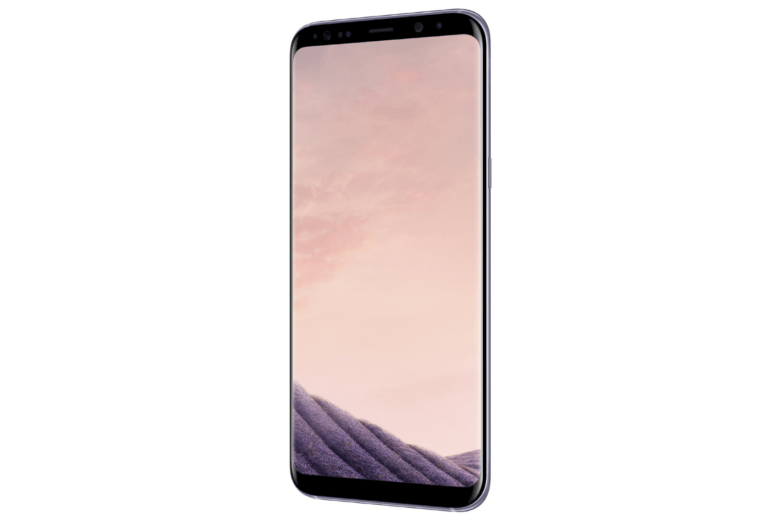 “The higher total BOM costs for the Galaxy S8 seem to be part of a trend that reflects something of an arms race in features among Apple, Samsung and other phone manufacturers, as they all try to add new and distinguishing hardware features,” said Andrew Rassweiler, senior director of cost benchmarking services for IHS Markit. As you might expect, the Galaxy S8’s most expensive component is its display, which costs around $85. The second-most expensive component is its Snapdragon 835 chipset at $45, followed by the RAM and storage chips at $41.50. Its aluminum chassis is also pricey at $22.50. IHS is yet to teardown the Galaxy S8+, but that will obviously prove to be even more costly. Although almost all of the components remain the same, it does have a larger display, frame, and battery.